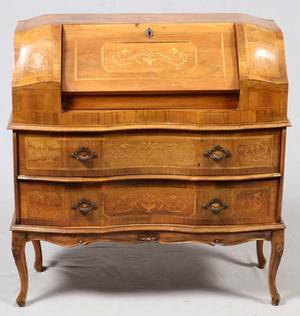 Italian, Late 19th/Early 20th century. 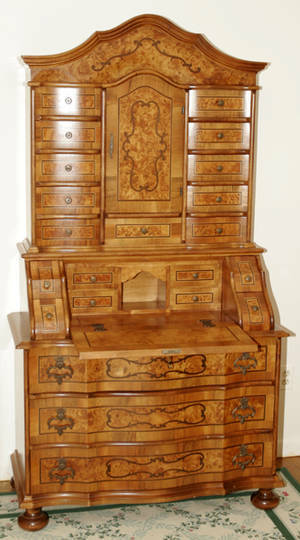 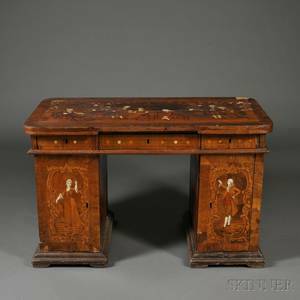 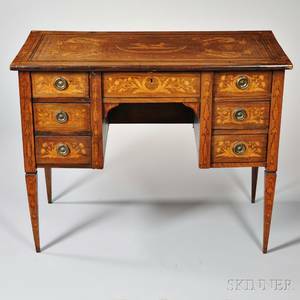 Circassian walnut desk with diamond and string inlay on rectangular top above five pull out drawers with additional string inlay work on fronts (one at center, two on each side). 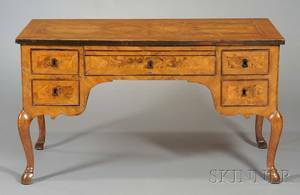 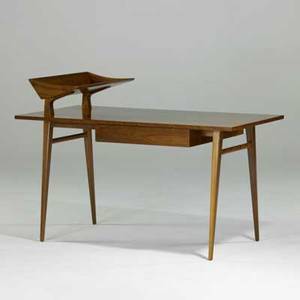 Writing table or desk raised on four tapered legs. 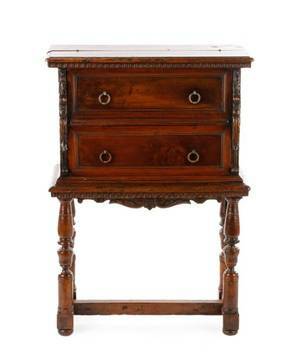 Accompanied with two keys for escutcheons on drawers. 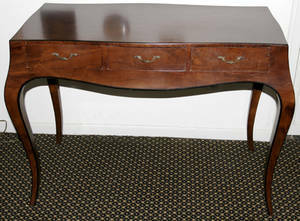 Height 31.5", width 57", depth 30.5". 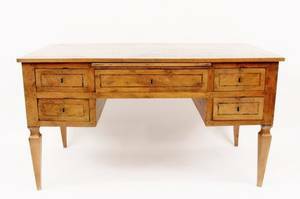 Bertha schaefer; singer & sons; italian walnut desk, italy, 1950s; unmarked; to desk: 30" x 56" x 28", to top: 38 1/2"
Italian Figural Walnut Desk or Cabinet, 19th C.
031193: ITALIAN WALNUT DESK, H 20", W 40"